DOOH (Digital out-of-home) advertising has changed the face of outdoor advertising worldwide. Digital billboards offer more dynamism & high relevancy to the viewers in comparison to traditional OOH. This gives the advertisers the ease in managing the change of ads. Digital displays driven by our software provides more flexibility to the advertisers and take the out-of-home advertising to a whole new level. Selvel One is one of the leading OOH agencies in North East India. Xtreme Media helped Selvel One to setup India’s first centrally managed network of 11 digital billboards in Kolkata. This resulted in a standalone LED billboard solution with an inbuilt media player and a receiver card. With 25 years of experience in LED displays and LED videowalls, Xtreme Media has created India’s first technologically empowered DOOH network for Selvel One. Xtreme Media Interactive display solutions help enrich customer experience whilst simultaneously increasing the brand engagement. With the help of interactive technologies like gesture & touch displays, Xtreme Media solutions are transforming products into experiences. With a centralised network, larger geographical areas are no longer a cordon when trying to implement DOOH solutions. In addition to having widespread coverage, a network of centrally controlled displays delivers tremendous impact for advertising brands. Xtreme Media Digital Billboards combined with its software helps advertisers create a centrally controlled network of displays that can be managed from one location. Digital Billboards are software driven displays with technological capabilities that are taking out-of-home advertising to a new level. Digital LED Billboards provide higher visibility due to their vibrancy. This helps grab the onlooker’s attention and makes the communication message far more effective. 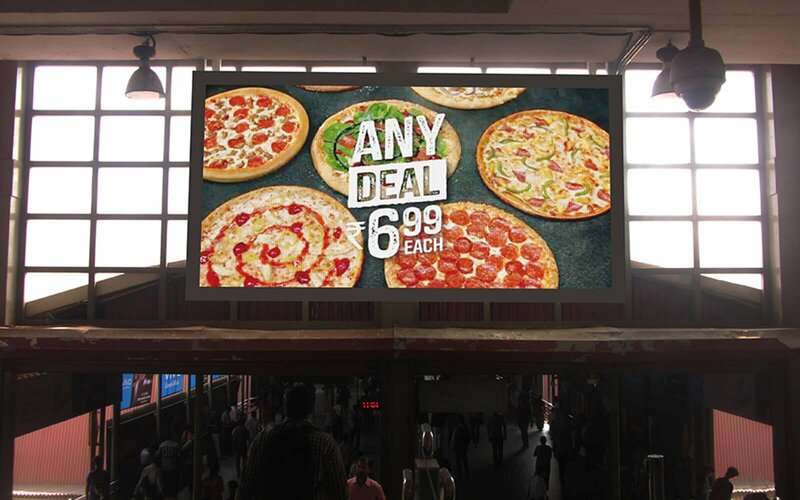 Digital billboards when combined with a camera, makes the out-of-home advertising smarter by targeting the ads based on the gathered analytics.